Did Mary Queen of Scots play a role in Lord Darnley’s murder? With her precious son, Prince James having been born in 1566, there is no doubt that Mary wanted to be rid of her husband Lord Darnley. She approached Maitland, her Secretary of State, while recuperating at Jedburgh to see if a way could be found to provide a divorce without sullying her honour. 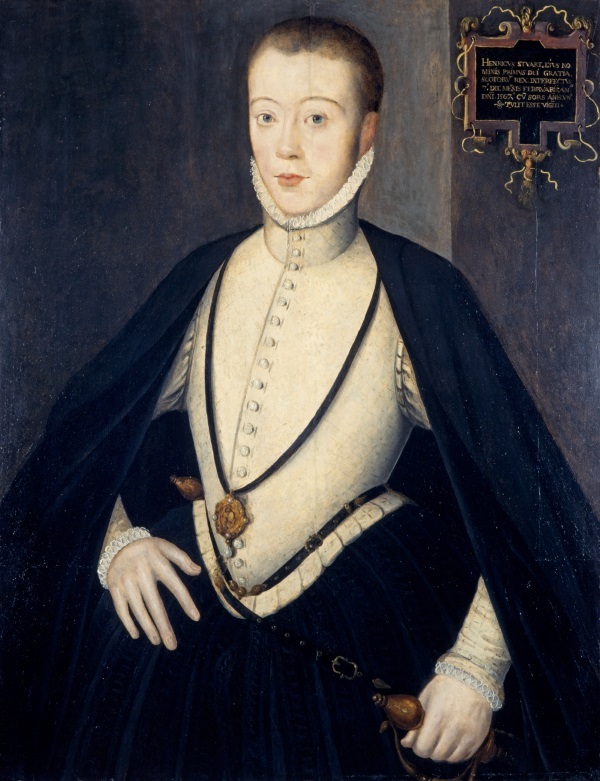 She knew that Darnley was plotting to usurp her position on the Scottish throne and as the preferred candidate of the Catholic Church to replace Elizabeth in England. On reaching Craigmillar Castle on his way back to Edinburgh, Maitland discussed Darnley’s removal with Mary’s principal advisers including Moray, Huntly, Bothwell and Balfour. The difficulty with divorce was that, in Catholic eyes, it would require an annulment of the marriage, prejudicing the legitimacy of Prince James, which Mary would not contemplate. A second problem was that Darnley would be free to continue his plotting to gain the Scottish and English thrones at Mary’s expense. All the Scottish Lords were anxious to be rid of him and realised that the safest solution would be to bring about his death. There were ample grounds to arrest him for treason, but this would also leave Prince James illegitimate. The only realistic solution was to murder him, but Mary would never approve this and could not be made aware of the plan. At this time, Morton and his fellow conspirators involved in Riccio’s murder were still in exile. They would undoubtedly arrange Darnley’s murder on their return in revenge for him failing to protect them. The Lords at Craigmillar thus approached Mary to say that they would assist in arranging her divorce without prejudicing James’s legitimacy (which they had no idea how to achieve), if she would permit the exiles’ return. At first, she was not prepared to exonerate them, but with the English equally supportive of any plan to be rid of Darnley, Mary was put under pressure from both Elizabeth and Cecil to allow the exiles back. It was only in contemplation of the baptism of Prince James that, with Elizabeth being James’s godmother, Mary signed papers to repatriate the exiles, if they remained at least seven miles away from Court. The odd man out among the Scottish Lords had always been Bothwell. He was unpopular with both the English and with Moray for having supported Marie of Guise as Queen Regent before Mary’s return from France. Cecil and Moray now worked on a plan to encourage Bothwell ‘the soldier among them’ to arrange Darnley’s murder. Several of the senior Scottish nobles present at Craigmillar entered into a bond with Bothwell to back him. Bothwell hoped that he would have Morton’s support on his return. They met up to discuss the plan at Whittinghame. Although Morton certainly wanted Darnley dead, he had been warned by Moray to leave it to Bothwell. Morton told Bothwell that, as he was not permitted near Court, he would send his Douglas supporters to assist him. 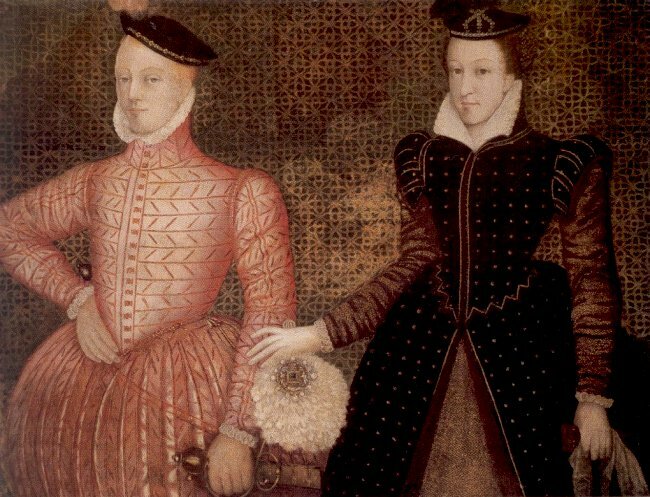 When Mary was told that divorce could not be achieved without prejudicing her son’s legitimacy, her solution was to rehabilitate Darnley by bringing him back to Court where his plotting could be suppressed. Darnley was in Glasgow, recuperating with his father, the Earl of Lennox, from the effects of syphilis. In all innocence, Mary persuaded him to return to Edinburgh to live with her as husband and wife, as soon as he was cured. While completing his recovery, he chose to reside temporarily at Kirk o’ Field. She was undoubtedly kept unaware of the murder plan. She spent time with him at Kirk o’Field ‘fondling and kissing’ him and she nursed him with sulphur baths to effect his cure. When the explosion took place she was visibly shocked, believing that she was also an intended victim. There was a nasty twist to the story. It would suit both Cecil and Moray also to be rid of Mary. Dynastically, she was the rightful heir to the English throne, and in Catholic eyes she was already rightfully Queen. With Elizabeth being born during the lifetime of Catherine of Aragon, who, in Catholic eyes, had been wrongfully divorced, she was illegitimate, leaving Mary as first in line. Even, if Elizabeth’s legitimacy was not doubted, Mary was properly Elizabeth’s heir, with Darnley being second in line. After the debacle with Mary Tudor, Cecil was determined to prevent another Catholic succeeding to the English throne. Moray’s motives were slightly different. Having played a principal part in achieving the Scottish reformation, he did not want his efforts being undone. Both Cecil and Moray knew that Mary’s and Darnley’s Catholic faith was no impediment to them succeeding to either crown. It had not prevented Mary Tudor from becoming Queen in England, despite a coup for her replacement on behalf of the Protestant Lady Jane Grey. The ploy was to tarnish Mary’s name by implicating her in the plan to murder Darnley. With Bothwell’s part in organising the murder being broadly known, they planned, after the murder, to persuade Mary to marry him, ostensibly to provide her with protection. If she agreed, they would concoct a story that she was implicated with him in a crime of passion, when nothing was further from the truth. There were four difficulties to overcome. Bothwell had to be found innocent of the crime that he had just committed; he needed a divorce from his wife Jean Gordon that would stand up to Catholic scrutiny; Mary had to be persuaded to marry the man generally thought to have murdered her husband; and evidence had to be provided that would stand up in Court to demonstrate that Mary had been involved with Bothwell in a crime of passion, when there had been no affair between them and Mary was uninvolved in the murder. Mary was very naive. She was being told on all sides that Bothwell had arranged the murder, but her closest advisers, Maitland and Moray persuaded her not to investigate too hard. In the end she approved a trial for Bothwell, in which no evidence was submitted. In fairness, Bothwell had spent the whole of the day before the murder in her company, and she could hardly believe that he had been involved. She did not want to lose the one man who had always been loyal to her mother and herself. Yet there is no evidence that she loved him. The Catholic Church in Scotland was put under pressure to sign papers approving Bothwell’s divorce from Jean Gordon on grounds of consanguinity, even though a dispensation because of their close kinship had been granted before the marriage. To promote the crime of passion story, the rumourmongers set to work with placards in Edinburgh within a week of the murder. Cecil was kept fully informed of their impact in London. George Buchanan, a Presbyterian academic. who had not been present at Court, provided his Detectio outlining a string of tittle-tattle fed to him by Moray to evidence a relationship between Mary and Bothwell before the murder. None of it would have stood up in Court. The Scottish Lords used every persuasion to encourage the marriage, and at a dinner at Ainslie’s Tavern in Edinburgh signed a bond with Bothwell, a man that they hated and mistrusted, to support the marriage. Bothwell managed to abduct Mary to Dunbar, where it is often said that he raped her, but it is far more likely that he persuaded her to consummate their relationship for mutual protection. Once committed, Bothwell would stop at nothing to bring forward the marriage. They were now caught; the Scottish nobility who had shown every sign of support could now turn against them. As Mary’s and Bothwell’s allies dwindled, the Scottish Lords challenged them with a force of overwhelming odds at Carberry Hill. With their need for Bothwell’s evidence to be suppressed, he was allowed to escape, ending up in Norway, where he was arrested and imprisoned for the rest of his life by the Danes. Mary was imprisoned at the island castle of Lochleven, where she was forced to abdicate. When Mary escaped and arrived in England there had to be an investigation, and proper evidence was needed. Maitland, hitherto Mary’s most staunch ally, was detailed to provide it. He went to great lengths by manipulating Mary’s and Bothwell’s correspondence. The evidence provided would never have passed close examination, and matters had to be ‘huddled up’. Mary was not found guilty of any crime, but was sufficiently tarnished in reputation to be retained under house arrest in England. Moray was appointed Regent for the infant King James, but within a year he was murdered by Catholics hoping to avenge Mary’s treatment. Cecil was never criticised, but then the English wrote the history!